The Indian Navy is equipping its six Scorpene (Project 75) subs for special operations and network centric operations. The boats will be networked with the rest of the fleet using Ku and S band SATCOM systems. The boats will feature a Communication Intelligence System with Direction Finding Capability (COMINT/DF) which will enhance situation awareness by displaying the DOA (Direction of Arrival) of the intercepts and other data on MFCCs of Combat System of submarine. The COMINT/DF fitted on the Scorpenes would also uplink DOA data using a S-Band Satellite Communication System (SATCOM) to the Indian Navy's Rukmini GSAT, so as to provide other fleet ships real-time data on communication intercepts. COMINT/DF systems typically feature High Sensitivity and High Probability of Interception (HPOI); the system searches, intercepts, measures, classifies, analyzes, locates and monitors ground, airborne and naval communication transmissions. Such transmissions are characterized by high mobility, short duration, complex signals and frequent changes in signal parameter in the most dense electromagnetic environments. The Scorpene COMINT/DF would provide capability to DF, monitor, intercept, record and analyse communication signals in V/UHF frequency range used for air-to-air and surface-to-air communication. The S-Band SATCOM system typically provide low data rate communication. As reported earlier, Scorpenes would also be equipped with Ku-band SATCOM high data rate communication. The Combat System from Project-75 subs is being supplied by M/s DCNS, France. 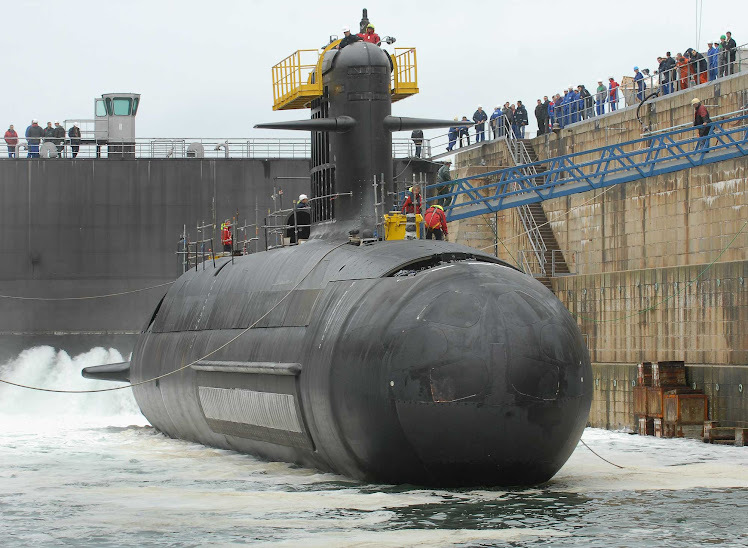 IDP Sentinel members can read more about the Indian Navy's Project-75 subs at the link below.